Nigerian soldiers are often at the war front trying to push back the terrorist Boko Haram sect and win the war against insurgency. However, sometimes they also relax by dancing and cooking food to eat. 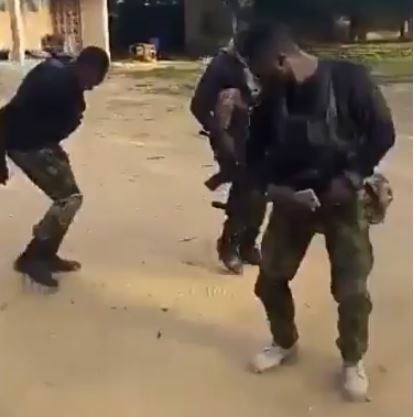 A new video has emerged online showing the soldiers showing off their dance steps and having a good time together. The exact place where the video was shot is not readily identifiable but it is believed the soldiers were caught on camera in the North-East. The video has warmed the hearts of many people on social media.